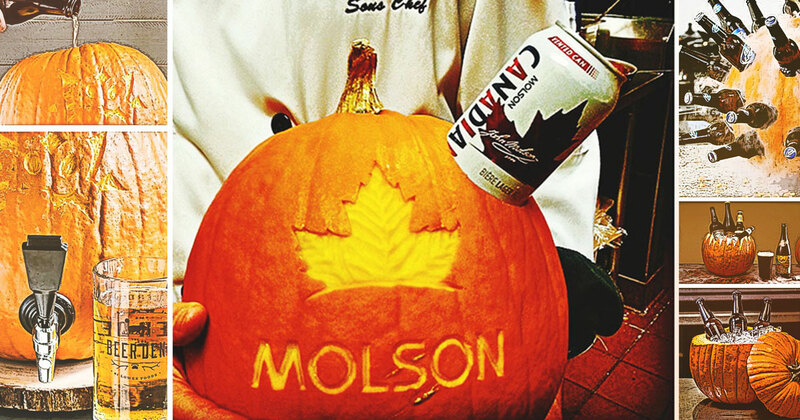 If you’ve got a steady hand, and a favourite brewery or beer brand, you could give this pumpkin carving a shot. This is a classic style — easy to do, funny, childish, and goofy. 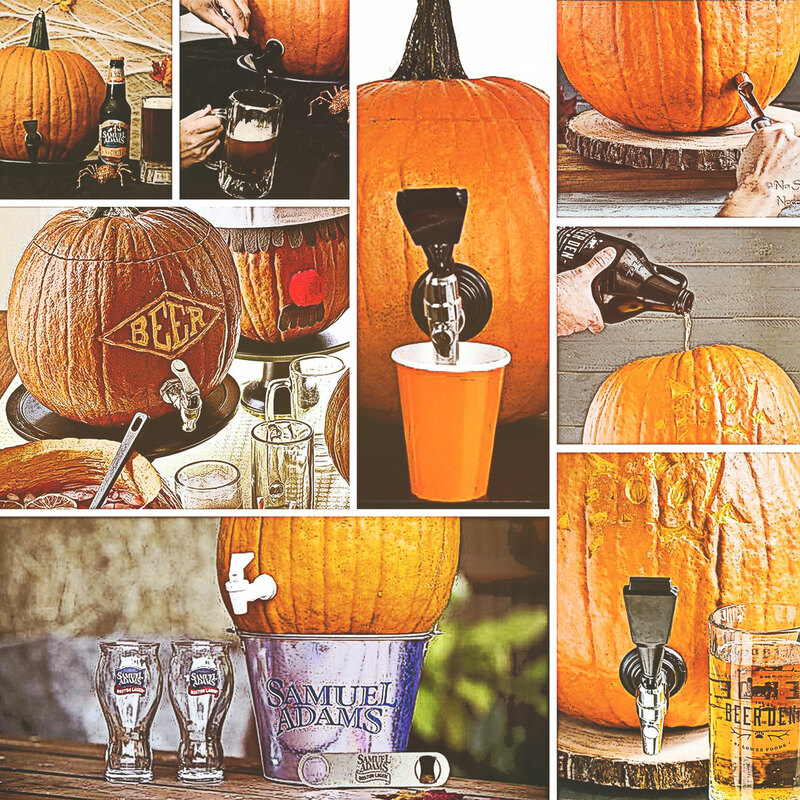 A great style for you designer/awesome/creative types — and a no-brainer for those annual pumpkin carving contests at the brewery. No carving talent required! 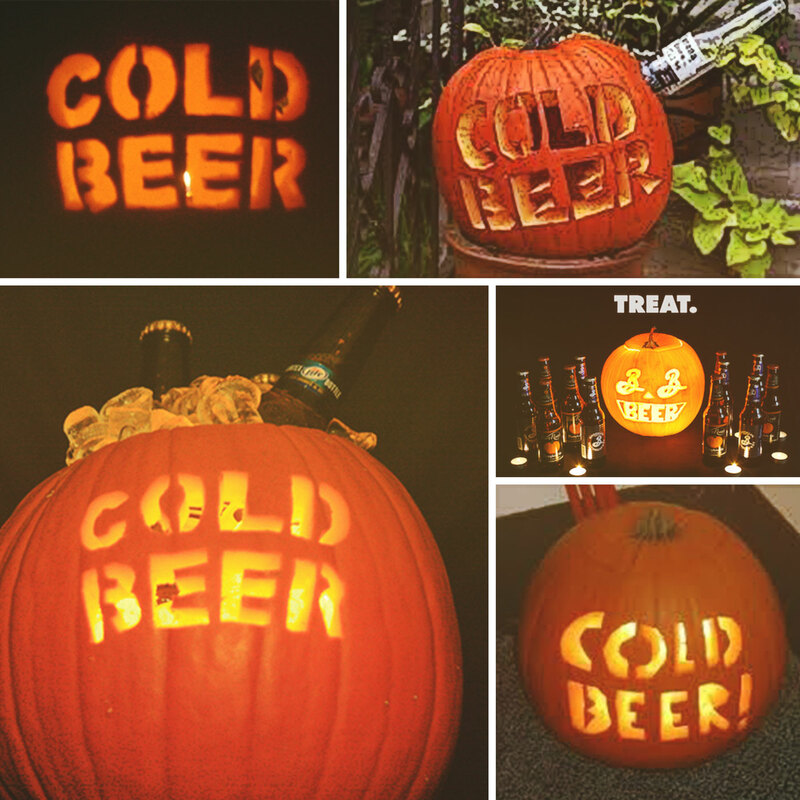 An evolution of the previous “Cold Beer” pumpkin, the beer cooler pumpkin is functional and ‘fancy’! 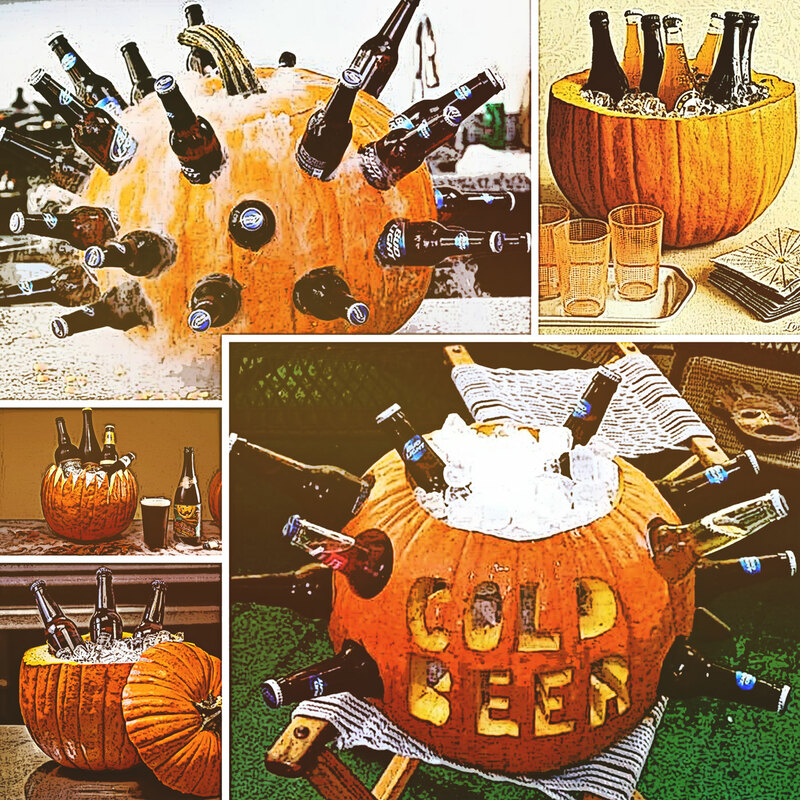 Here’s a great how-to tutorial on how to create a beer-cooling pumpkin (with dry ice) from the Tipsy Bartender. Admittedly, this one seems a little funny/friggin’ gross (pumpkin-saturated beer?? ?–yuuuck), so until we try it, we’re not recommending it. That said, it’s all over the web as a “festive” way to serve beer, so we included it for aesthetics. 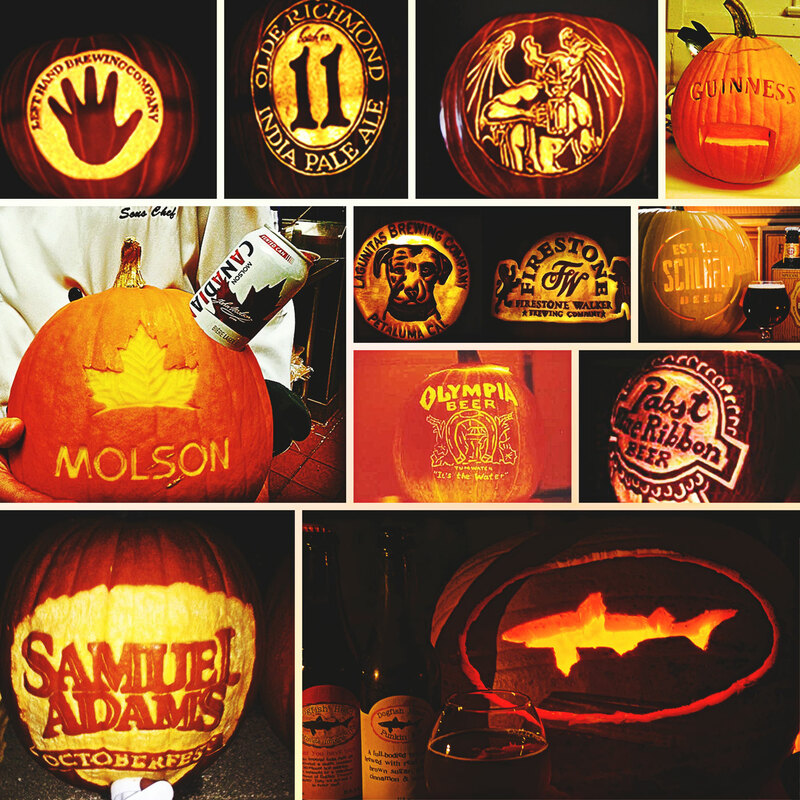 Here’s a how-to video from SamuelAdams; if you try this… let us know how it went! 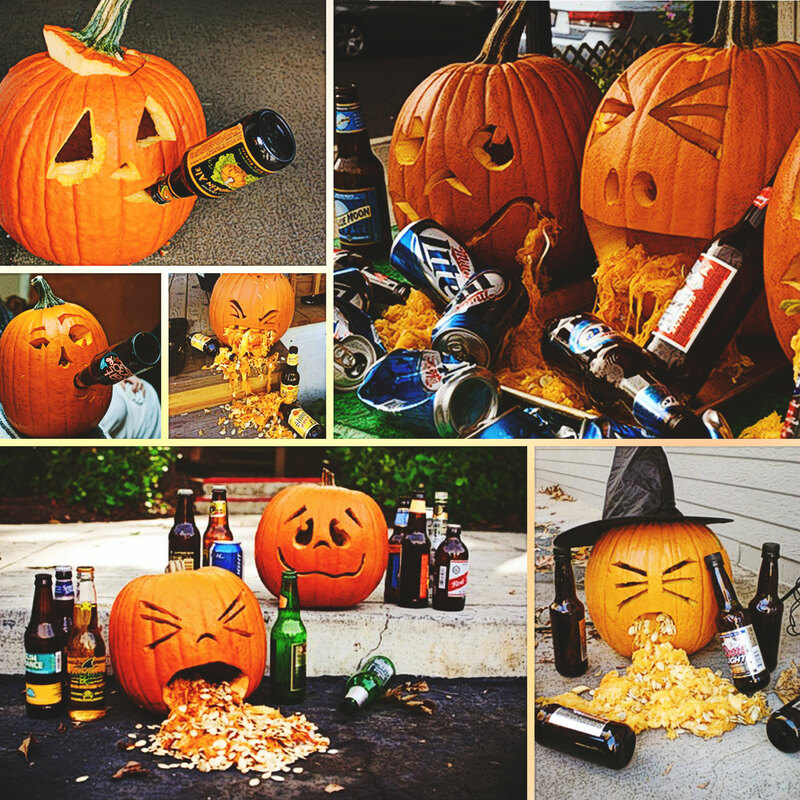 That sums up our inspirational beer pumpkin carving ideas. 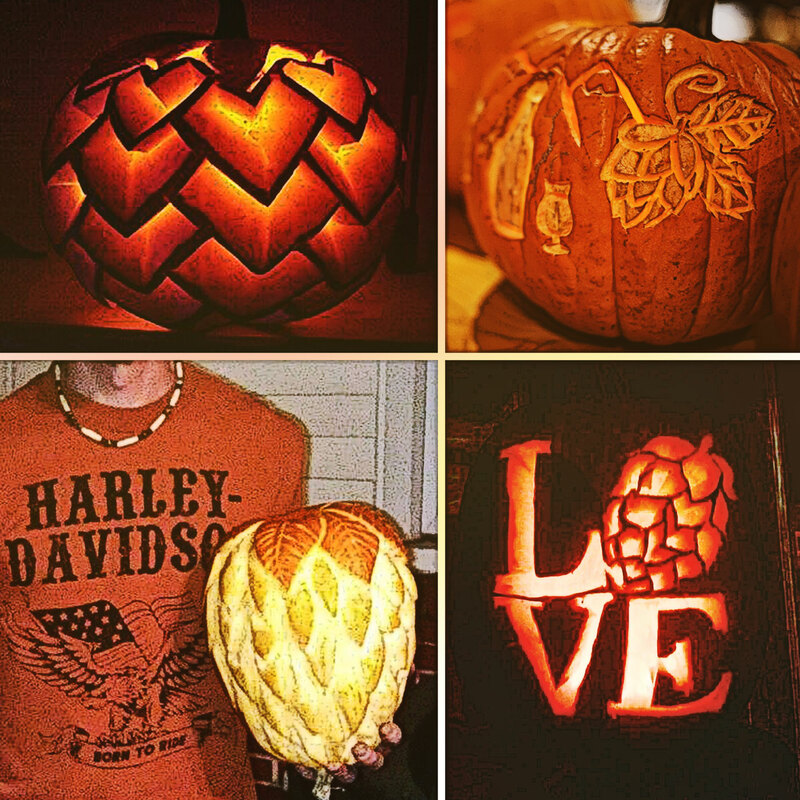 Show us how you fared this Halloween and tag @justbeerapp on Instagram in your beer pumpkin photos! You’re the more traditional of the horoscope signs. As an Earth sign, you’re reserved, responsible and well-disciplined. What is the perfect beer match for a wise, at times rigid, Capricorn?